The New York Edge Elect to be Fit Wellness Fair, took place at Truman High School on November 6, 2018. 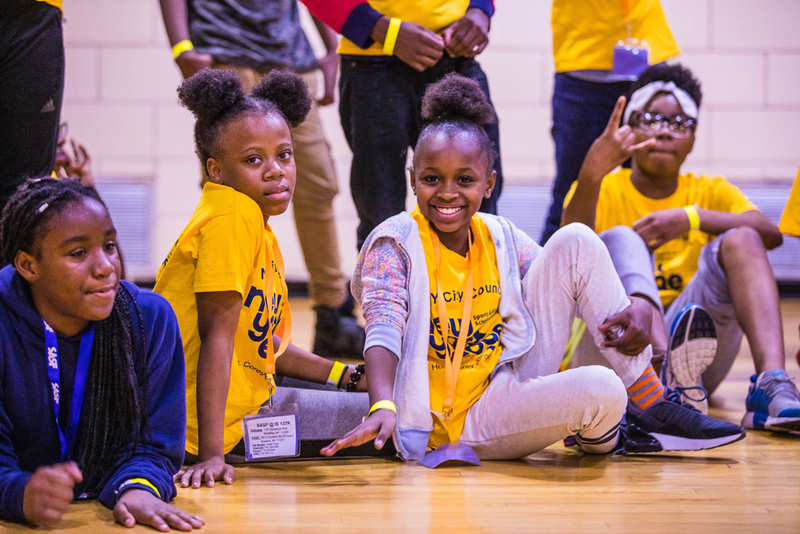 A total of 261 Elementary and Middle School students from 31 schools participated in activities that promote healthy eating and active lifestyles. Rotations included Supermarket Mania, Minute to Win It, and Hip Hop H.E.A.L.S. Debuting her children’s book, “MC Veggie Fresh Rocks the Mic”, Registered Dietitian and Author Shanon Morris held an interactive book reading and signing for Elementary School students. Additionally, Middle School students competed in a fill in the rap lyric game where students had to fill in the missing lyrics in order to complete the Veggie Fresh Rap. The New York Edge Elect to Be Fit Wellness Fair showed students that you can have fun while engaging in health and wellness activities!